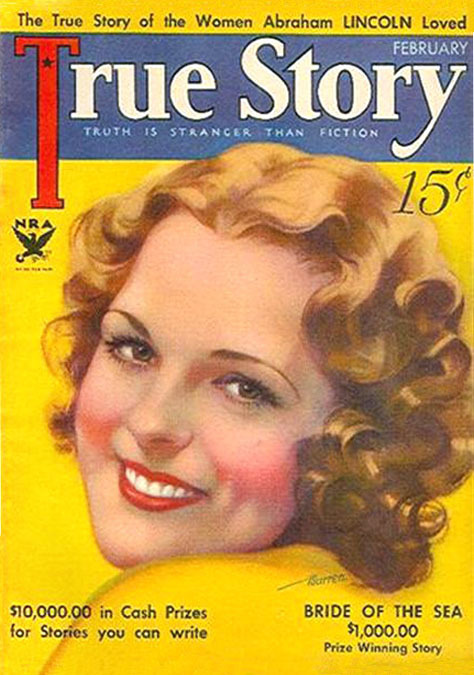 Georgia Warren was born January 17, 1899 in Davenport, Nebraska. Her father, John W. Warren, was born in 1843 in Illinois. Her mother, Lillian Agnes Traver, was born in 1874 in Illinois. Her parents married in 1896 and had one child, Georgia (b.1899). Her father died a few months before she was born. The widowed mother and child returned to live with the maternal grandparents, Egbert W. Traver (b.1838) and Marion E. Traver (b.1840), who lived with their youngest son, David E. Traver (b.1881). The family lived on a farm in Davenport, Nebraska. In 1908 her maternal grandmother died at the age of sixty-eight. After this death the family left Nebraska and moved to Littleton, Colorado, where her mother taught at the district school and her Uncle studied Law. In 1918 Georgia Warren graduated high school in Littleton, Colorado, where she became interested in an art career. 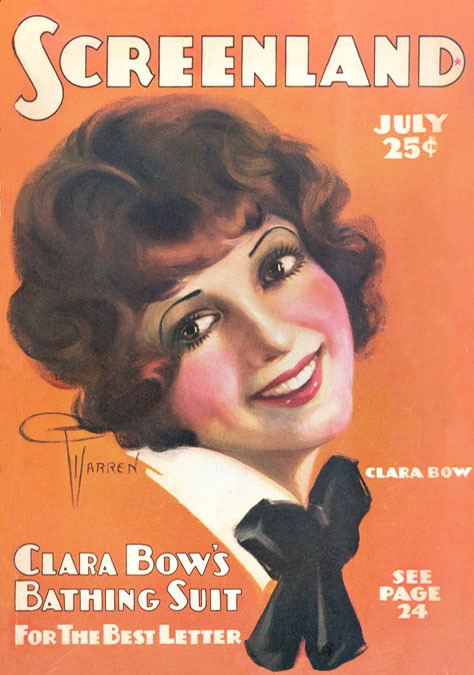 In 1919 she began to attend college in Denver, Colorado. In 1924 she won a scholarship to study art in New York City at the National Academy of Design at 1083 Fifth Avenue, facing the East Side of Central Park. She moved to NYC and lived at The Hotel Peter Cooper on East 39th Street. In 1928 she was commissioned to paint a portrait of Supreme Court Justice James C. Cropsey, who was serving as the president of the Crescent Athletic Club of Brooklyn on Piermont and Clinton Streets. 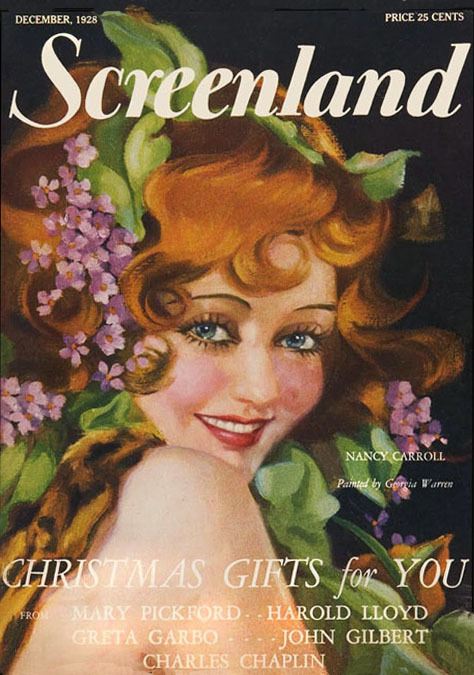 In 1928 she began to paint portraits of Hollywood movie stars for reproduction on covers of fan magazines produced by Bernarr Macfadden, such as Prize Story and Screenland. In 1928 her mother married a second husband, Andrew B. Buckner. He was a farmer born in 1856 in Kansas. The married couple left Colorado and moved to Lemoore, California. During the summer of 1930 Georgia Warren visited Paris, France, on the Steam Ship Olympic. On March 29, 1931 she leased an art studio apartment at 50 West 67th Street. At that time this area was a popular for artists to rent studios. 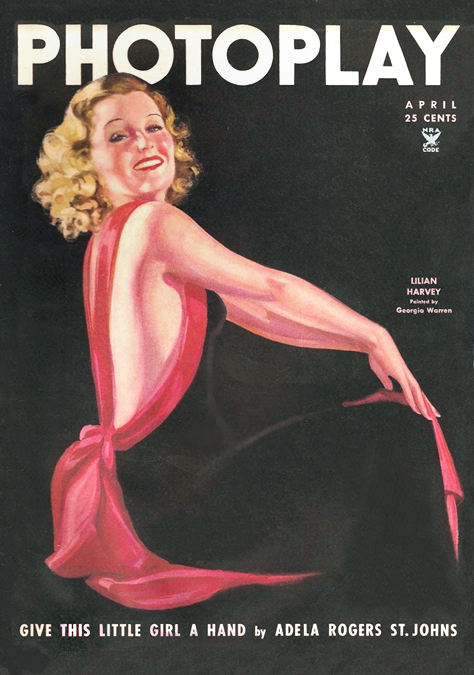 In 1931 she contributed black & white interior illustrations to Physical Culture Magazine, which was produced by Macfadden Publications. 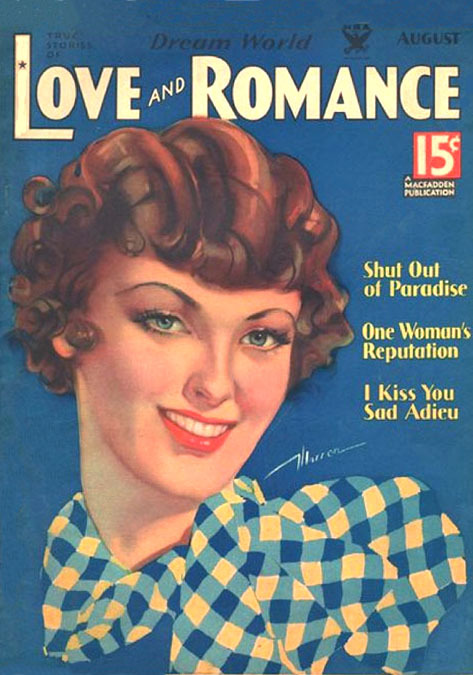 During the Great Depression her work appeared on the covers of many Macfadden Publications, including Photoplay Magazine, True Experiences, True Romance, True Story, Dream World Love & Romance, and Radio Mirror, as well as Liberty Magazine, his largest mainstream circulation periodical. 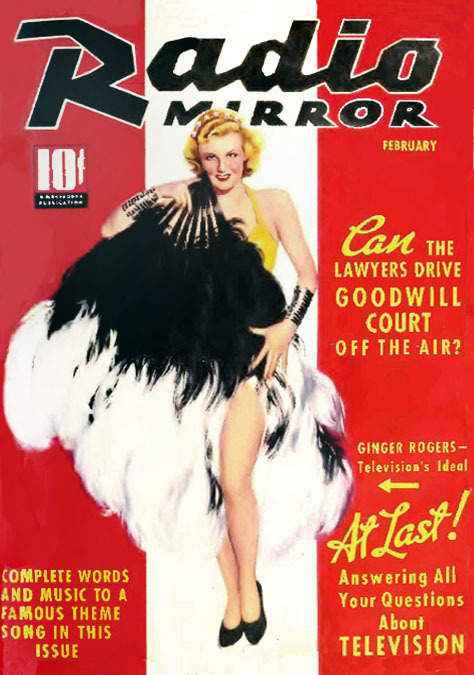 Georgia Warren spent the cold winter months of January through April in Miami Beach, Florida, where she invested her excess income in real estate. In 1935 she was included in a group show of decorative hand-painted screens at the National Academy of Design of NYC. In the summer of 1935 she visited London, England, on the Steam Ship Majestic. 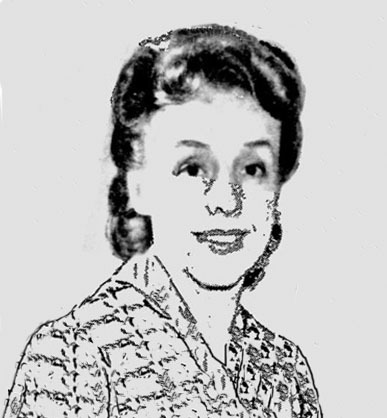 She was identified on the passenger manifest as "Mrs. Georgia Warren" and her marital status was listed as "divorced." 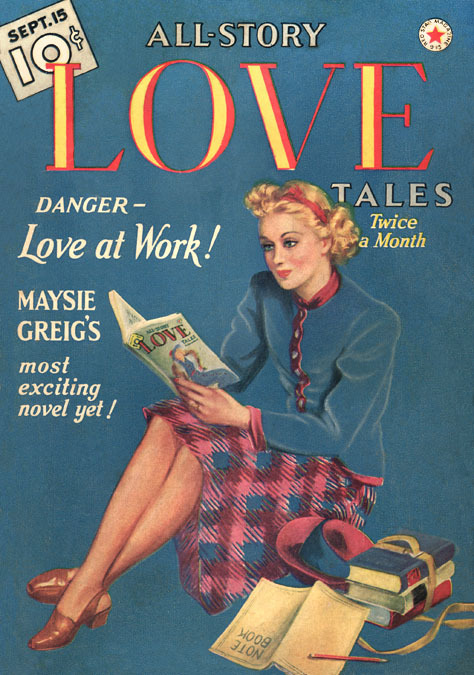 By 1937 she was painting fewer covers for Macfadden and began to paint covers for the pulp magazine, All-Story Love Tales, which was produced by Munsey Publications. These were lower-paying assignments than her previous work, which suggests her style may have grown out of fashion. In 1938 she sold four lots of land in Florida to cover unpaid property taxes, and used the remaining funds to buy a home in East Hampton, Long Island, NY, where she formed The Georgia Warren School of Portraiture, which she operated successfully for ten years. In 1940 during her winter season in Sarasota, Florida, she taught portraiture at the Ringling School of Art. Her mother's second husband died in California, after which she moved to Sarasota to live near her daughter. Mrs. Lillian Agnes Traver Warren Buckner lived at 425 Hillview Avenue. 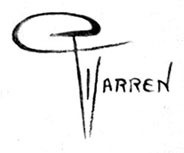 In 1942 Georgia Warren joined the Sarasota Art Association and began to participate in their annual art exhibitions. Over the subsequent years she was awarded several prizes. 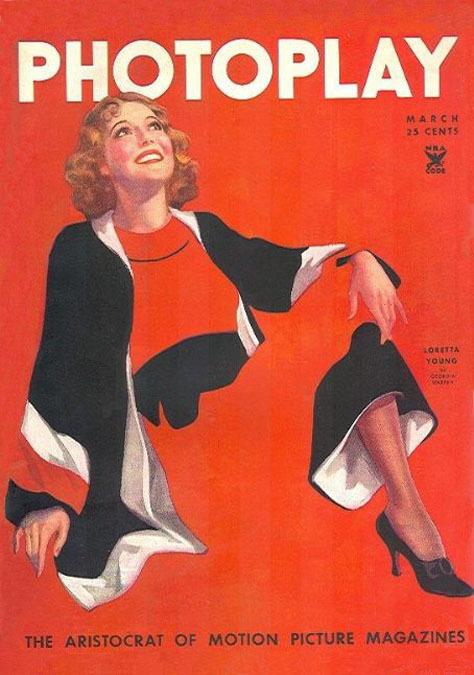 In 1945 her work was included in a Women's Show at the National Academy of Design in NYC. 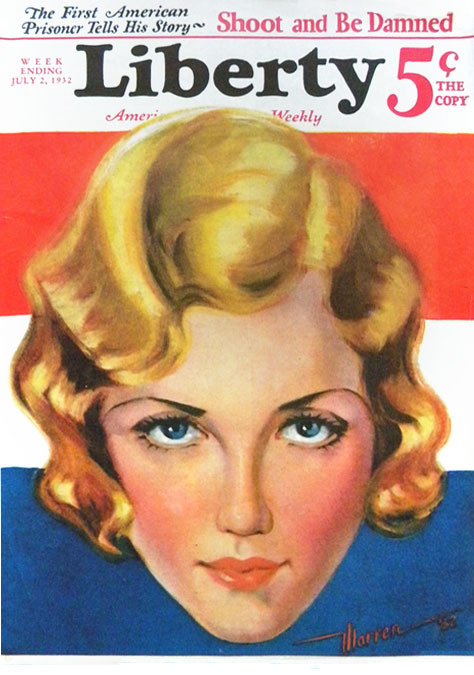 In 1945 The Georgia Warren School of Portraiture in East Hampton, NY, was advertised in professional art journals. In 1947 she traveled from NYC to Birmingham, Alabama, to paint a commissioned portrait. In 1948 she closed her art school in East Hampton, NY, and moved to Florida as a year-round resident. In 1959 he mother, Lillian Agnes Traver Warren Buckner, died at the age of eighty-five. In 1965 Georgia Warren married John Ernest Waidlich. He was born April 18, 1899 in Virginia. He was an Executive at AT&T of New Jersey in Public Relations. He had a business office in NYC at 32 Avenue of the Americas. He was a widower. He and his former wife had been top-ranked bridge players. After she died in 1963 he retired from work and sold his home in New Jersey and moved to Palm Beach, Florida. They married couple lived in Palm Beach, Florida, and also kept a second home in Falls Church, Virginia. In 1974 Georgia Warren Waidlich taught a class in Advanced Portraiture at the Boca Raton Center For The Arts. She continued to paint portraits in her final years. Georgia Warren Waidlich died at the age of eighty-three in Palm Beach, Florida, on November 12, 1983.